We’ve known for quite a while that the Lancer Evolution is about to be retired. In the past year, the brand has presented various SUVs that could wear its name, vehicles that could be limited to the Japanese and British markets. However, Mitsubishi hadn’t yet introduced the very last edition of the Evo. 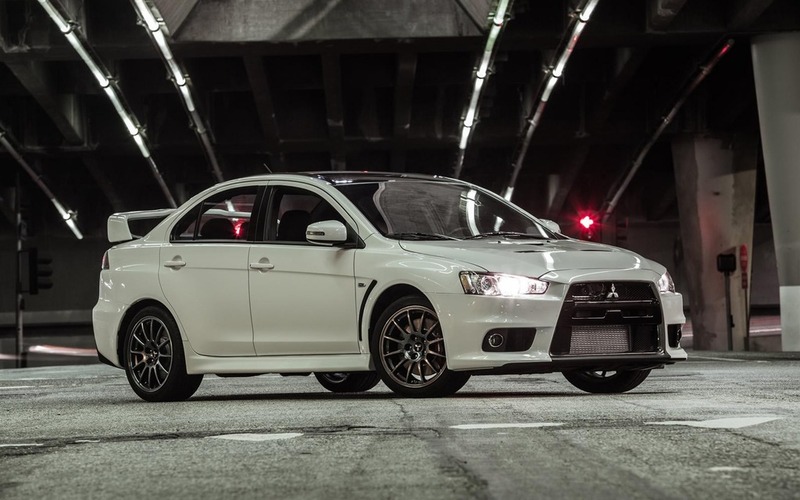 Well, here it is: limited to only 350 units in Canada, the 2015 Mitsubishi Lancer Evolution Final Edition will be the last version of what has become an automotive legend. Aside from the Final Edition badge on the trunk lid, the compact sports car can be distinguished by its blacked-out roof, its black chrome grille surround and the bright black centre portion of its front bumper. The Evo also benefits from BBS alloy wheels. Since it’s the final Lancer Evolution, Mitsubishi equipped it with all the available bells and whistles. Standard features include HID headlights, a numbered plaque, an infotainment screen, red accenting on the seats, wheel and console as well as seven airbags and an adjustable stability control system for a more dynamic drive. With its S-AWC all-wheel-drive system and active centre differential, the Evo promises to be as thrilling to drive now as when it was launched seven years ago. On sale for $49,498, the car serves up 303 horsepower and 305 lb-ft of torque, and will also include Eibach suspension components, Brembo front brakes and Bilstein shocks. Here’s the good news: the only gearbox available is a manual, even though it only has five speeds.